In order to add a Room, a Venue be added first. An event can have any number of Venues. Think of a Venue as the main site for the conference, i.e., a convention center or hotel. Additional venues might be special offsite locations for extracurricular activities. 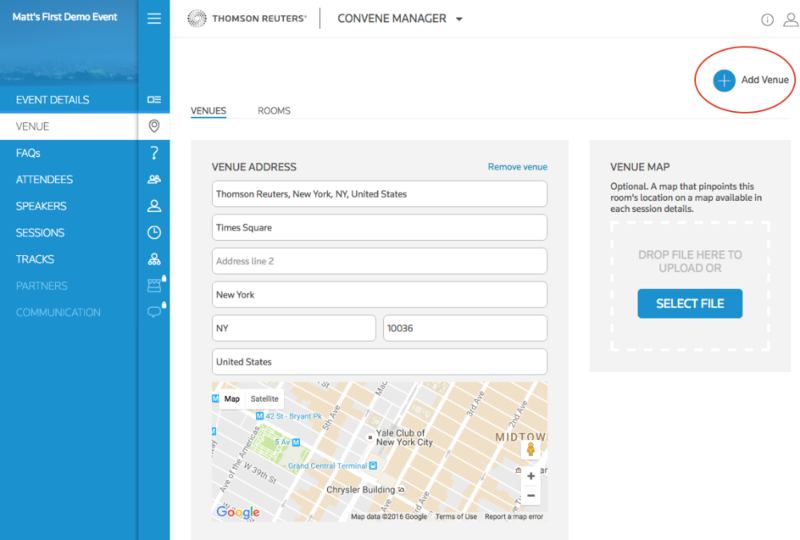 To add a new venue, tap "Add Venue"
Upload an optional Venue map.